Johnny’s Guitar Drive-In used to be dressed in information overload. There were burger signs, hot dog signs and prices all over the building and it looked a mess. They needed a more effective way to communicate their specials, upcoming events, waiters on duty and keep their customers entertained. paying more was not an option so PDT was appointed the supplier. PDT quickly installed the LED screen and media player, and Johnny’s Guitar easily manages the network and updates content themselves. “Our customers can now view the prices, specials and the name of their waiter, as well as the entertainment on the screen while waiting in their cars for their food order. 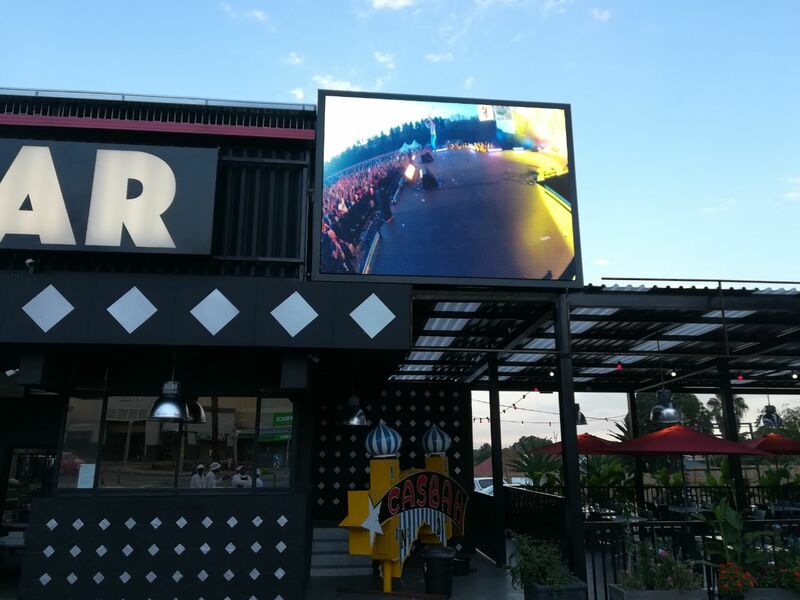 The weekend after installing PDT’s LED screen was a record breaking one for us”, he says. The screen attracts customers’ attention. When people drive by, they see the screen, they get excited and drive in to buy food. The screen is contributing to return visits as customers reportedly come back to enjoy their meals in their car while the content and music videos on the screen entertains them. “I was very happy with PDT’s service. Their prices are good, their installation team is hardworking and reliable, and the entire team is friendly and accessible”, says John.